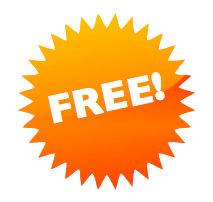 WITH 215 PAGE PDF AND 106 FREE SONGS, ON SALE NOW! While other magazines seems to be getting slimmer due to the recent paper price increases, the mighty Fireworks remains at a colossal 148 pages, with the addition of an extra 215 page PDF and over 100 MP3 songs on our cover-mounted CD (also available via download link for imported copies. ALL copies bought directly online will have the CD). 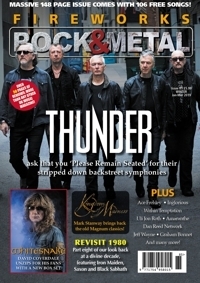 This issue sees Thunder discussing their new album of stripped-down reworkings of songs from throughout their career, while Whitesnake's David Coverdale tells us all about their new 'Unzipped' box-set. Two years after leaving Magnum, Mark Stanway gives us the details on his exciting new band Kingdom of Madness, and elsewhere, Kane Roberts explains the fun of working with Alice Cooper again on his new opus, 'The New Normal'. And then there's Heat's original vocalist Kenny Leckremo telling us all about his debut solo album and Jeff Wayne on bringing his magnificent 'War of the Worlds' to the stage. Other interviews include Within Temptation, Ace Frehley, Uli Jon Roth, Fifth Angel, Nordic Union, Metal Church, Ten, Dan Reed, Evergrey, Jake E. Lee, Amaranthe, Hank Erix, White Widdow, The Tangent, Graham Bonnet, Johnny Gioeli and a truly uplifting chat with Jason Becker. And of course, many, many, many more! This issue, the Enthusiasts Guide takes a look at the solo career Rainbow legend Joe Lynn Turner while our Bands That Time Forgot feature, Dave Reynolds runs the rules over two classic bands of the 70s: Teaze and Thrills. Over 50 pages of detailed reviews and ... yeah, you know it .. SO MUCH MORE! All for £5.99 (plus postage) and a miserly £3.50 for the download (inc pdf and all mp3 songs). Interviews, features, reviews and 106 FREE songs: LET'S ROCK! Still not convinced? Download Fireworks #82 for FREE, including all 88 MP3 songs as well as a bonus PDF magazine! 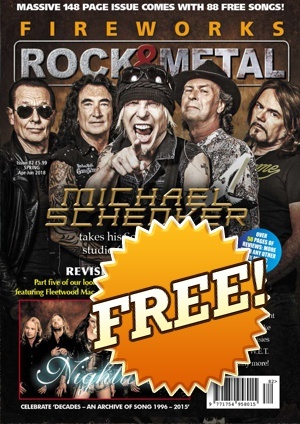 Download issues #50, #57, #75, #76 and #82 for FREE in the Rocktopia Download Store!